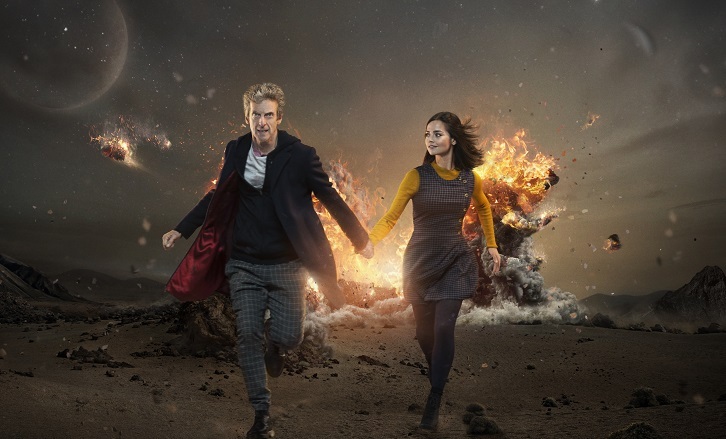 Captured by Vikings, the Doctor and Clara must help protect their village from Space Warriors from the future: the Mire. Outnumbered and outgunned, their fate seems inevitable. So why is the Doctor preoccupied with a single Viking girl? "There’s going to be a war tomorrow. And here’s some news, this just in – we are going to win the hell out it!" In a backwater of history, in a little Viking village where all the warriors have just been slaughtered, a young girl called Ashildr is about to make a desperate mistake. The Mire are the deadliest mercenaries in the galaxy, famed for being unstoppable and without mercy - and Ashildr has just declared war on them. The Doctor and Clara have twelve hours, to turn a handful of farmers and blacksmiths into a fighting force ready to face down Odin himself. And there’s more - because this is the day when the Doctor remembers where he’s seen his own face before.